The Ottoman Empire, ruling the vast territories spreading over West Asia, South-East Europe and North Africa, developed highly complicated bureaucratic system. 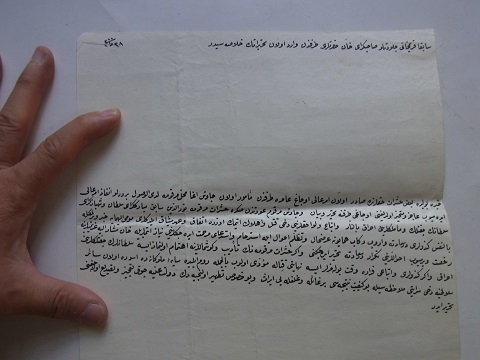 It bequeathed an enormous amount of documents mainly written in Turkish with Arabic script, as is seen today in the Prime Ministry Ottoman Archives, Topkapı Sarayı Museum in Istanbul, and SS. Cyril and Methodius National Library in Sofia and so on. These documents are crucially essential sources for historical study not only of the Ottoman domains but also of the surrounding world. The project is aimed at comprehension of morphology and functions of various types of the Ottoman documents, such as emr-i şerif, berat, hatt-ı hümayun, telhis, irade-i şerif, mektub, kaime, hulasa, arzuhal, mahzar, mazbata, hüccet, ilam, fetva, vakfiye and tezkires, comparing with similar documents issued in other Muslim states. The results of the project is also expected to serve training young researchers through annually organized “Seminars of Ottoman palaeography and diplomatics”.